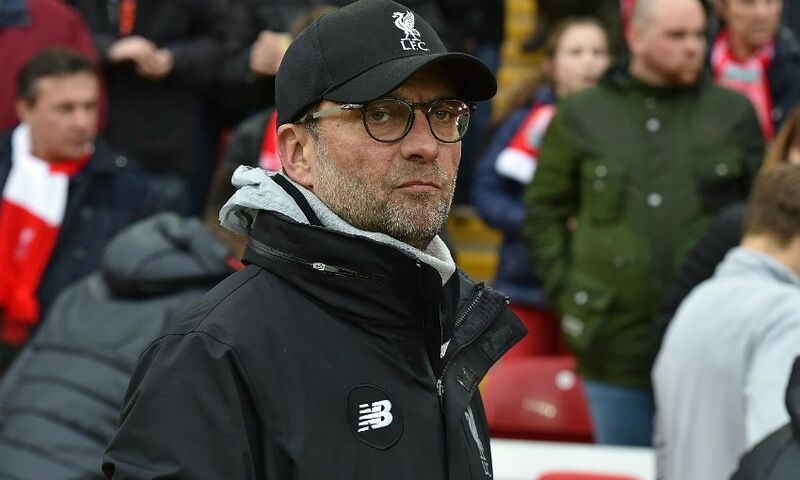 Jürgen Klopp praised his Liverpool team for showing the ability to win when not at their best in Sunday's 2-1 victory over Burnley at Anfield. The Reds were forced to fight back from a goal down to claim what could prove to be a crucial three points in the the race to finish in the Premier League's top four after Ashley Barnes gave the Clarets an early lead. Georginio Wijnaldum netted for the second game in succession to draw the home side level on the stroke of half-time, before Emre Can fired a superb long-range effort into the bottom corner on the hour. After the game, Klopp provided an update on the fitness of Jordan Henderson, who missed the game due to a foot injury, while also speaking about Can, the importance of winning 'ugly' and Liverpool's mentality. Obviously we all have to get used to it a little bit because it’s the first ‘ugly’ game we’ve won. Usually when we were not at our best we’ve lost and in a few parts of the game we weren’t at our best actually. If you’re not at your best it’s a close game and that’s how it was. We were not dominant enough to avoid Burnley’s game, they did what they want to do. First half Burnley were better because we all played their game, if you want. The ball was always in the air, fighting for second balls, they were obviously better around second balls. The goal we conceded, we could’ve defended better, and there were a few moments – a lot of flick-on challenges, foul yes or no, ball through and all that stuff. It doesn’t feel good and you are 1-0 down but I thought already at the end of the first half we had our moments and then we scored the goal. Nice goal, cross, we were there and got the easy goal if you want. We knew we had to do better, of course. It was about formation, it was about orientation, that’s what we spoke about at half-time. When we played the long balls, we felt not that comfortable today. The plan from the beginning was to mix it up, playing build-up and long ball in a formation for the second balls. Like I said, Burnley was for sure in this part of the game better. Second half I thought we did much better because there was not really a chance [for Burnley] from open play, only set-pieces. They were dangerous enough, all in the six-yard box and Si [Mignolet] did an outstanding job for us. Obviously it’s difficult for each goalkeeper but he did really well in these situations and then Emre with a wonderful strike, a fantastic goal. We defended passionately, that’s how it should be [and] our organisation was better. There were a few counter-attacking moments, when we played football in a few moments obviously it felt better, and in the end we won the game and it felt well deserved. Emre is a boy with an outstanding attitude. He’s had a few problems with his calf in the last few months, which we couldn’t sort quickly enough – not because of our medical department but because sometimes he had it, sometimes not. A lot of specialists have been around to try and find out, but the situation was like this, that we could not say ‘go on holiday for four weeks and maybe it’s better then’ – that’s not the situation. So it looks like we’ve found the solution now and he doesn’t have these problems any more. I really like to speak positively about the player. Emre second half was really good, but first half, around the [Burnley] goal, that’s the challenge you need to have before the cross…but things like this happen, it doesn’t make you a worse person or player or whatever. You have to react and he reacted well second half. In his position there were a lot of high balls and you can imagine how important it is to have this player around. The problem is then about protection, you have nobody for the second ball when Emre wins the ball. You have then the big space that only really Adam [Lallana] and Gini were in and we suffered in these situations a little bit. But second half we did better and he did better - nice goal after a long period with calf problems, well deserved. Actually I think you need to be ready for both. ‘Ugly’, that’s my English so maybe there are better words for it than this. What I want to say is that it was not our best game. I’m not sure but I think from the intensity side it was nice to watch, there was not too much football today but that’s how it is, that’s not a problem. Like I said, in this kind of play Burnley are maybe the best team because they’re used to everything. They fight for the first ball, they have a really good formation for the second ball, then immediately there are runs in behind for the third ball. It’s really difficult, but if you see the results, even if they have not the best away record, the games they’ve lost, most of them are really close. If you don’t score early then you really have to fight. Tottenham won 2-1 too and a few other teams – it’s really difficult, hard work. But if you want to stay where we are then you need to win football games and we cannot make a choice and say ‘this yes, this no’. It feels really good today that we could do it, even like this. Because like I’ve said a lot of times, the good games as a team we’ve usually won, but the average games and the bad games you need to be a challenger too, and today we were this challenger. Mentality issue? No. It is a question of confidence. We don’t live in a dark corner and we cannot avoid the things that people say about it. Before the Burnley game everybody expects it to be difficult, we knew from the football side it would be difficult. It’s like déjà vu, you try everything before the game and then you concede in nearly the first situation on goal. So they could do exactly what they’re good at, and we couldn’t. That makes a game pretty exciting - more exciting than you actually want. But then we took the fight and that’s really good. I’m really fine with it.